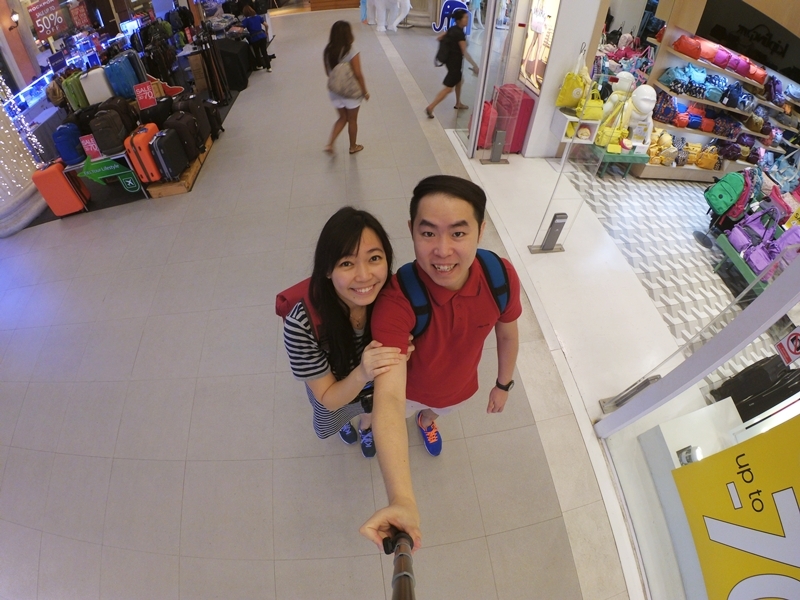 Was thinking to get a GoPro previously due to the trend as we feel it's quite hard for us to take selfie together with the background whenever we off to trip. We didn't get the selfie stick like others as our smartphone are quite outdated now (camera resolution is not so good) and we are so lazy to bring along our tripod. After some discussion with BenDan, we decided to drop the idea of getting GoPro due to our RM devaluation, we switched it to YI Action Camera after comparing it with SJCAM. We bought it through 11street where YI Action Camera was still newly launch and hardly accessible through other website. We bought the YI Action Camera Deluxe Package from Dasher and this package include YI Action Camera, waterproof case, monopod and Kingston 16GB memory card. Placed my order in 11street and I got the parcel in 2 days time, all the items I got are in good shape. I got the parcel on weekday and I only managed to check the item condition on the day itself, photos were taken on the weekend. This explain why the memory card is opened in this photo. 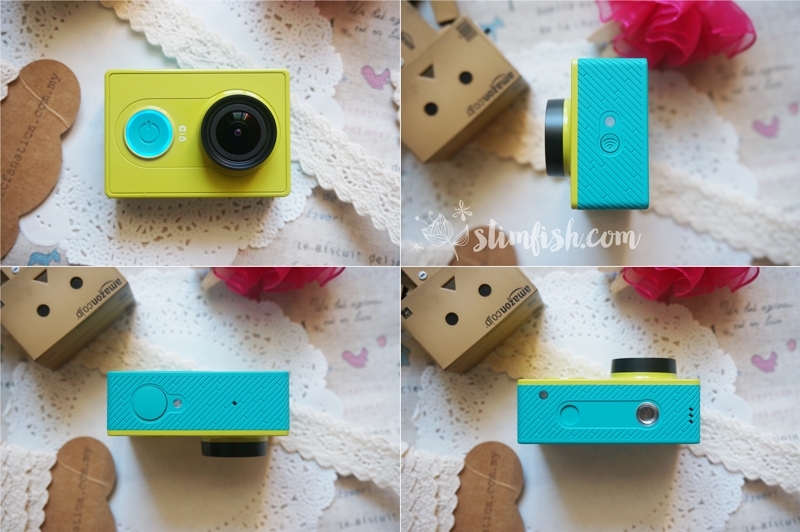 You can choose white or green for your YI Action Camera, obviously we got it in green; we prefer the sharp color. The action camera is come along with cable, battery and user manual. All action camera should come with screen protector sheet attached on the body and lens. There are 2 lids available at the back of the action camera, the big one is to place the battery. The battery is just nicely fit into the compartment provided, if you see clearly, there is a tail on the battery body. Do not tear the tail as you will need it to take out the battery from action camera. Accordingly to the user manual, you need not charge the battery overnight or at least 8 hours, the battery is fully charge once the LED light around the on-off button is turn off. On the left side, there are ports for memory card, USB and HDMI. The USB port is used to charge the battery or transfer photos to computer; you may use the HDMI port if you want to view your photos through television. Since there is no string or part holding the lid to the action camera body, it is advisable that you keep the lid safely whenever you open it. YI Action Camera can support up to Full HD 1080p video and 16MP photos with its 155° ultra-wide angle lens. The button next to the lens is the on-off button, press it and hold for around 3-4 seconds to on or off the action camera; press once if you wish to switch your action camera to video mode. The LED light around the on-off button is to indicate the percentage of battery left: blue - 100% to 50%, purple - 49% to 15% and red - 15% - 0%. If not mistaken, the battery can last for 3-4 hours for continuous video shooting. There is capture button on the top of action camera, Wi-fi button on the left is to connect it to your smartphone or monopod, the hole on the bottom of action camera is for you to attach it to the monopod. The waterproof case that came together in the package is under Kingma's brand instead of YI brand. The original one will cost more but the quality will be the same. You may first test the waterproof case under water before you place the YI action camera in it. Thick rubber is placed surrounding the opening of the case, so you must press hard in order to close the case. 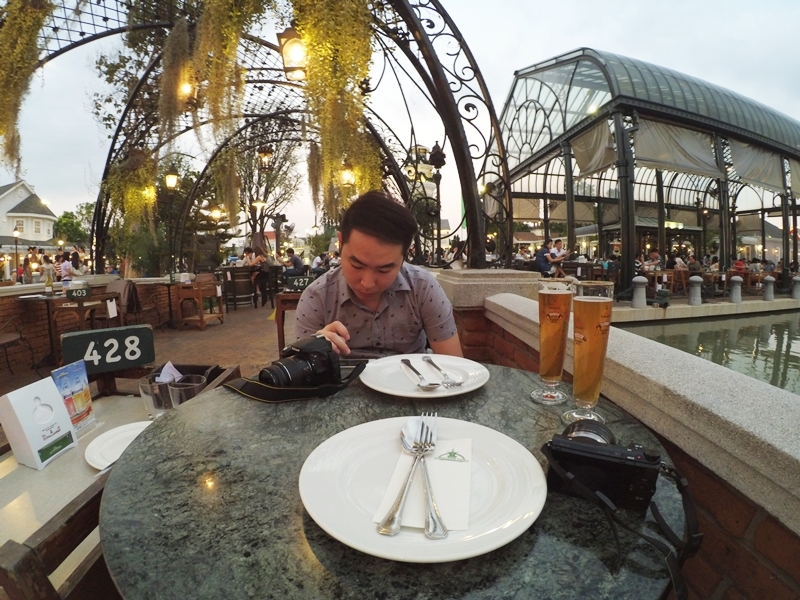 BenDan purchased the YI monopod on the same day as he feel it will be easier for us with the remote control. It's almost the same like the Kingma monopod but YI monopod is double the weight which I can even put my Sony camera on it, a good deal I would say. You will only need to set the bluetooth between action camera and YI monopod once, it'll be auto connect on the next use. Without the remote control, you can still capture images with the app (iPhone and Android) download to your smartphone. 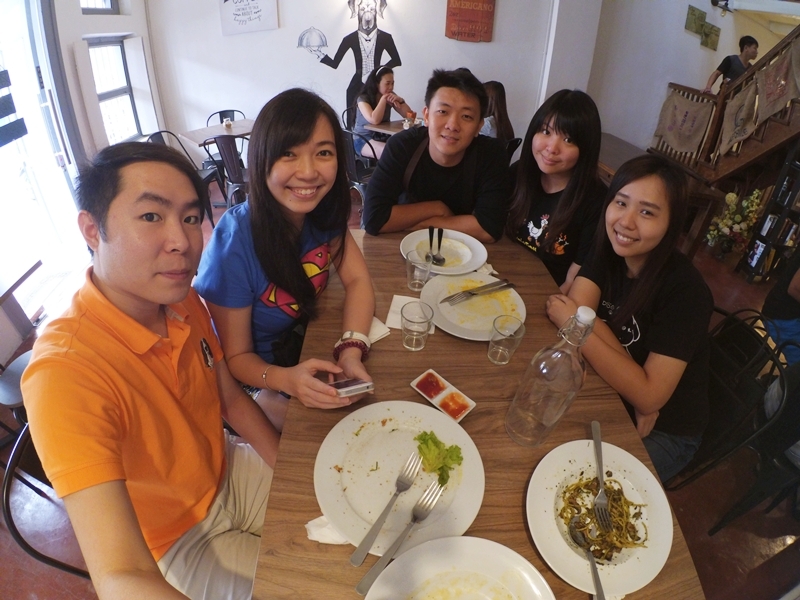 These are some of the photos taken by YI action camera, I haven't try on the video yet even we bought it for months. We even brought it together for our Bangkok trip, but we just used it once, most of our photos were taken using our cameras. The quality of the photos are quite good with the price that offer, but it can't really perform well in dim environment. In overall, we will still recommend YI Action Camera to you!